River House in Malham is a ideal central location for a fly fishing break in the Yorkshire Dales. We have a drying room for waders & boots, packed lunch facilities and a great Yorkshire Breakfast to start your day. Day ticket fishing is available on many of our rivers, and lakes all in stunning locations from Wild Brown Trout streams to still waters stocked with hard fighting Rainbow Trout there’s something for all fly fishers. Alex your host at River House is a keen angler and can offer advice on locations and conditions in the area. If you have always wanted to learn how to fly fish, brush up on the latest techniques or to simply make the most of your time and be guided on the rivers and lakes of the dales, local Orvis endorsed guide Steve Rhodes has over 45 years experience of fishing in the area. He has access to all the fishing below plus many more stretches of river and lakes! for more information please see below. Here are just a few of the many waters in the area. Just a few miles North of River House is Malham Tarn a large 153 acre lime rich lake set in breathtaking countryside which although not easy offers what is probably the finest Wild Brown Trout lake fishing in England. Home to some exceptional fish, with rare fly and bird life you won’t forget a day afloat here even if the landing net remains dry. Fishing is allowed from just 4 boats, and is catch and release only. 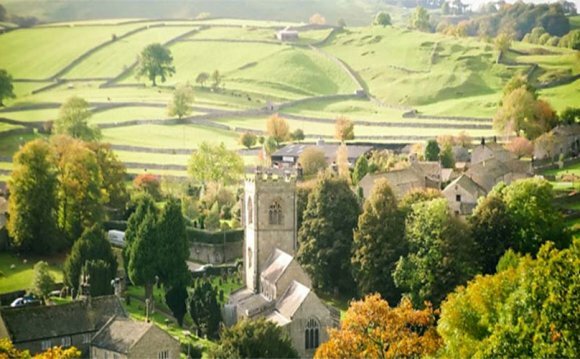 To book a day telephone the Malham Tarn Field centre on -31. Over into the next dale to the west runs the river Ribble overlooked by the dales highest peaks of Whernside, Ingleborough and Pen-y-ghent . This spate river has runs of migratory fish as well as good stocks of Brown Trout and below Settle Grayling. Day tickets are hard to come by on the Ribble but Steve Rhodes at can Guide/provide instruction on these waters.